The so called White Sea is located on the north eastern coast of Russia. 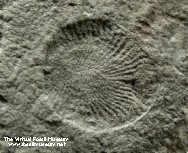 The fossils of the area are currently undergoing intensive research, and some consider the site the richest source of Vendian (or Ediacaran) fauna in the fossil record. 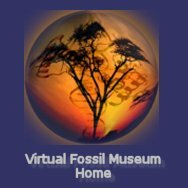 The Vendian fossils found there date to some 550 million years ago. The association of these fossils within the Tree of Life remains controversial. Some seem to have affinity to cnidarian, worm, or arthropod morphologies. Others resemble algal or lichen forms, or huge protozoans. Others some seem to represent alien kingdoms of life that left no descendants, and still others appear as uninterpretable bumps and blobs. 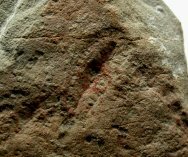 Vendian rocks are also found to contain contain ichnofossils possibly made by worm-like animals traversing a muddy sea floor. 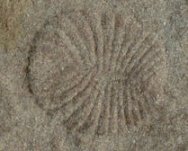 Cyclomedusa is among the most highly represented members of the Ediacaran Biota, with specimens known from Neoproterozoic strata worldwide, including Ediacara Hills (Australia), Norway, the Charnwood Forest in England, Northern China, Olenek, Ural Mountains and the White Sea Summer Coast of Russia, Newfoundland and Northwest Canada, Podolia in the Ukraine, and Sonora Mexico. Early interpretations of Cyclomedusa was as a jellyfish. Others postulated a benthic creature possibly an octacorallian or sea pen, and more recently, a microbial colony.